When cable companies like Comcast and Time Warner talk about “TV Everywhere,” they are generally talking about a Web video portal they control themselves which gives their regular cable TV subscribers access to at least some of the same programming online. If viewership is going to shift online, they want to be the ones providing it—and that’s not necessarily a bad thing. But when Brightcove CEO Jeremy Allaire talks about TV Everywhere, he envisions more of a federated model where TV programmers make more of their shows available on their own sites to visitors who are authenticated as paying cable subscribers. There is a lot more going on in the TV Everywhere space than people realize. It is ramping up quite fast, and it is not just Comcast but nearly every major traditional cable, telco, satellite distributor, and significant initiatives from many of the top programming companies. It is going to unleash dramatically more content than the web has seen. Our first foray is embracing a model that is being supported by nearly all major distribution companies—a federated model that allows programmers to publish deep online libraries of their feature programming on their own websites, and leveraging identity and authorization data/services that are managed by the MVPDs [multichannel video programming distributors], ensuring that users are indeed subscribers and are entitled to the requested programming. We’ve built a model that fully supports this, as well as key partnerships for tech we are implementing to handle these federated identity models for online video. TV Everywhere is more than just cable companies covering their rears, it is a major effort also being embraced by the broadcast networks themselves, who have not been able to put their full programming online, and who deeply want to preserve the dual revenue stream that drives their business today—subscriber fees and advertising. TV Everywhere holds the promise of preserving that model, unlike other mediums (newspapers, magazines) who have struggled to maintain their dual revenue stream models in the online world. In other words, if they are going to call it TV Everywhere, it really should be everywhere. Or at least available on the sites of related TV channels. The way this would work is that if you are HBO (to use a hypothetical example), only your programming is available on your site. 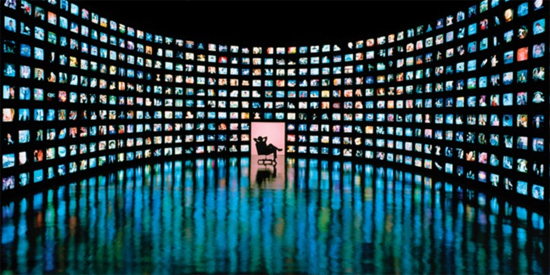 Once a user is authenticated, they can watch whatever they are already paying for on their TVs. The cable companies might like it it because the value of that subscription just went up and they are giving people who are tempted to cut the cord altogether another reason to stay. The programmers might like it because they can now show videos online which they are currently contractually prohibited from showing, and they get to keep any ancillary advertising revenues they make from their high-CPM sites. And consumers? Well, most of us are already paying for cable or satellite TV anyway. If they are going to start to distribute that TV programming online, the more places it is available, the better. But those pesky paywalls are still going to be annoying, especially if you follow a link to one.